As I gaze out the window at snow falling on October 2, it may help to situate the reader who missed the story that this year I migrated from Arizona to the prairies of Saskatchewan, the call to move being one of love. 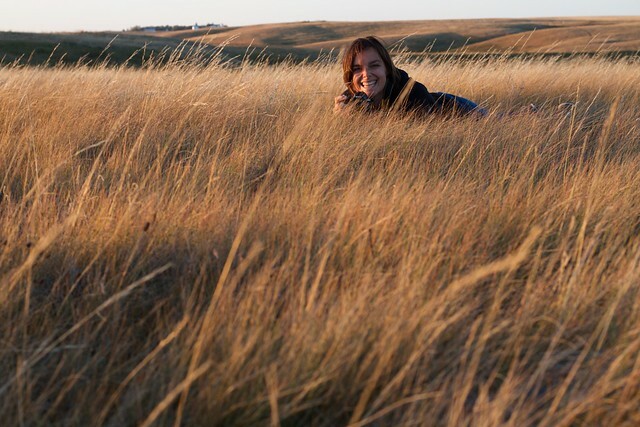 And you may glean from flickr/Instagram photos that Cori and I share a lot, especially our love of the outdoors, chasing light with our cameras, laying down in the grass to grab that perfect image. 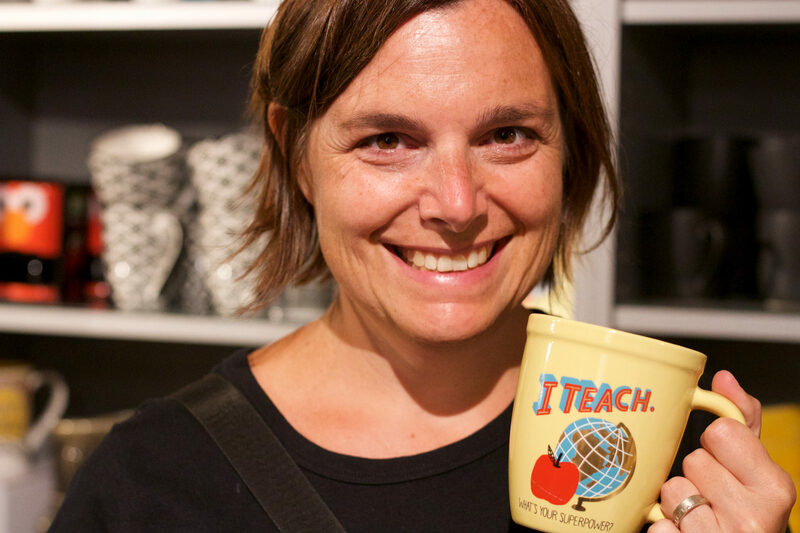 You should know, however, that there is so much more to this woman, the way she is in the world, and mostly, the incredible work she does with some of the most challenging high school students. Yes, her superpower coffee mug may state her superpower is “I Teach” but her work goes beyond content and subject matter, but doing heroic level feats to help the students she works with, and reach them in a genuine way few adults do. 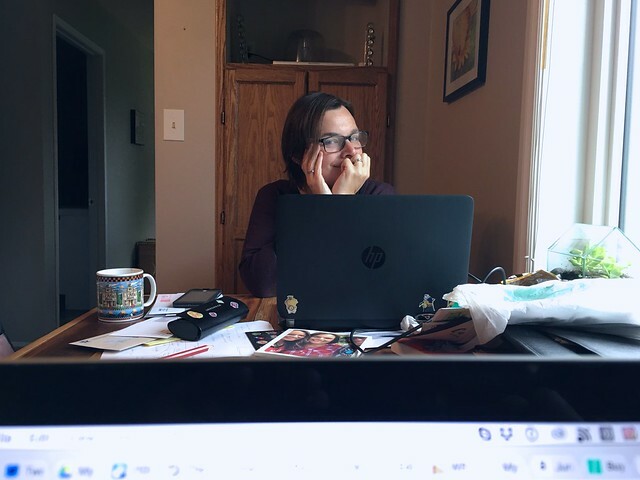 The stories she comes home with regularly, as Mom used to say, “blow me away” and humble me to the quiet keyboard pecking that occupies my day. I’ve carried this post around in my head as a draft for a while, and after this particular week, it really is time to publish. When thinking of a metaphor, I kept hearing the call of a song, and yet worried that it might not convey it in words to the feeling I am trying to pour into this editor screen. Long time readers may glean (I think it’s in the Twitter bio) of my fandom of The Who (“…because you never get to know their names. You know them as The Who. Everybody says, ‘who?’ and you say, ‘you know'”). Eyesight to the Blind (The Hawker) is their version of the 1951 blues song recorded Sonny Boy Williamson II, which the liner notes indicate Pete Townsend learned of from the Mose Allison version. The “lovin'” in verse maye be inferred a more carnal blues way, but the one I know from Cori is the deep lovin’ she has for her students, and the actions and lengths she goes to for them. Around town we meet and frequently she is messaged from students she has helped, sometimes from years ago, and it’s clear in those exchanges that she is just about as memorable a teacher as one can be. I am in awe at our end of day exchanges of what we did. As much for the many things she does, often right in a moment, and addressing the needs of multiple students and colleagues at once. I would melt trying to do her work. And there is much more; we have long intense discussions about teaching, pedagogy, values, ethics, research. What a joy for me to be part of her life. In the Spring I am proud to share (uh oh, Cori, and I spilling beans?) she is getting to share some of her Eyesight giving experience to education students at the University of Regina, leading a section of a first year teachers course. Those students will be beyond lucky to be in her class. You should be a reader of her blog which I am way overdue in my promise to help move to a Domain of Her Own. She’s not about promoting herself so I am doing a wee bit. Aww, Alan, you’re making me cry! This blog post could exactly describe the relationship (including the content of daily concerns) Peter and I share, and that we feel about the work we each do with our students. You have attempted the impossible here and succeeded beautifully. I am so glad you are getting your just desserts. Thanks Sandy- having spent time with you and Peter, I can say that you are both inspirations as a healthy, long relationship. Fantastic post. Having enjoyed a precious few conversations with Cori about what she does, consider this mind blown as well. And thanks for the reminder to move coyote chalk into a more prominent folder in my RSS reader. Wow! So impressed with the connections you two have. I can’t wait to meet Cori! Spending so much offline time I certainly missed big news in your life!!! This post is so beautiful on many levels. I feel joy to see you got the happiness you deserve, Alan. Following the life-tag in your blog, seeing the pictures of your smiles next to Cori, it seems you are a new Alan. Must be the effect of the magic at meeting a truly special person. Cori looks radiant through your lens. Wish you both live and write inspiring life stories together.